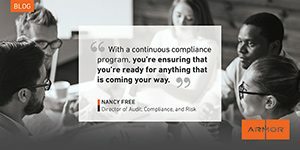 Armor brings a unique approach to cybersecurity for payments and PCI-compliance for all industries with carefully crafted techniques and technology. Armor’s approach enables measurable cybersecurity metrics and compliance outcomes. This elite-tier protection is made possible by a blend of intelligence, defense and control that will ensure PCI-compliance, reduce threat actor dwell time to near zero and protect payment data, applications and intellectual property. When your organization joins Armor, you’re enlisting expertly trained cybersecurity professionals who are armed with battle-tested processes. It’s this irreplaceable balance that helps Armor defend protected payment data and other sensitive data from today’s elite threat actors. Learn more about Armor’s approach to cybersecurity and PCI-compliance by downloading our “True Security Outcomes Designed for Payments & PCI Compliance” whitepaper. You can also search through our Knowledge Center for more infographics and resources to better secure your data.